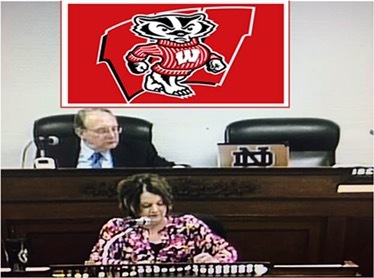 Wisconsin Badger Fans Demand Equal Time – Tired of the City of Freeport Interim Corporation Council Cheerleading for Notre Dame! 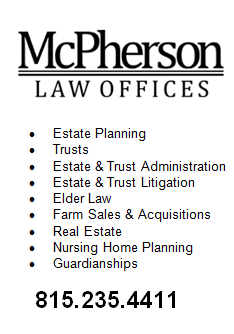 The interim corporation counsel for the City of Freeport, Illinois seems to have one agenda – promote Notre Dame at City Council Meetings. Enough is enough. It seems only fair that the Wisconsin Badgers get equal time – replace the city seal with a Badger Banner. As you will note, the chair of the interim corporation counsel is vacant, but his large Notre Dame is visible for all to see. This entry was posted in Uncategorized on April 27, 2016 by Good Day Illinois.